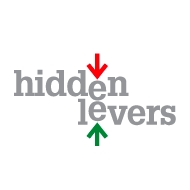 HiddenLevers is a financial technology company based in New York City. Our main focus is to reveal the hidden links between the economy and an investor’s portfolio. By connecting big-picture economic factors with industries and investments, HiddenLevers gives you the ability to model how different economic scenarios can impact a specific portfolio, and helps generate investment and trading ideas based on economic outlook.